Ah, spring! When summer days spent golfing are that much closer to reality. And for many golfers, time on the green is also a great way to give back! For 12 years, the Rotary Club of Ottawa South has been hosting a charity golf tournament at the Ottawa Hunt and Golf Club, with proceeds supporting local families facing cancer through the Ottawa Regional Cancer Foundation. The event sells out every year, bringing much-needed funds to support local clinical trials, cancer research, and Cancer Coaching services. 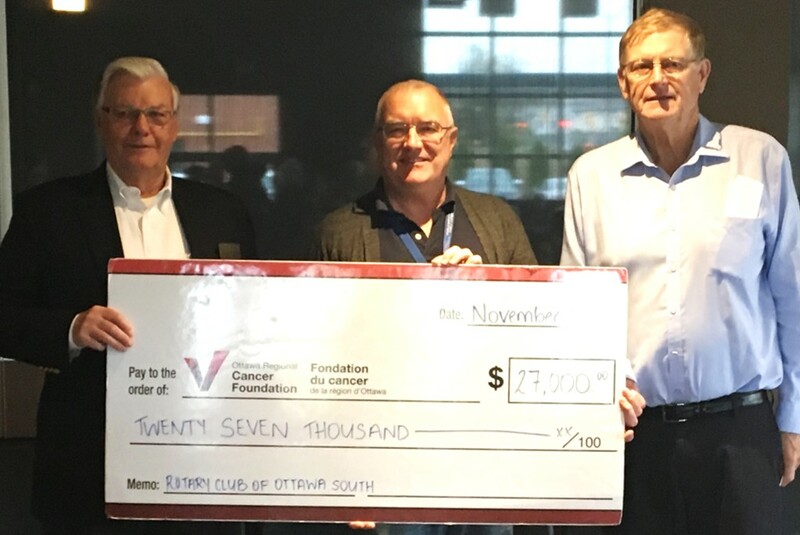 Thanks to the Club, the Cancer Foundation has been able to invest $580,000 towards cancer care in the Ottawa region, giving families the support to cope with their disease, and hope for a future that’s cancer free. So as we dream of summer golf, we’d like to offer a resounding THANK YOU to the Rotary Club of Ottawa South and event organizer Bernie Ingimundson for changing the lives of our friends, neighbours, and loved ones touched by cancer. You are true Cancer Champions! Interested in this year’s golf tournament? Contact Bernie today!